For individual & commercial users who don't need to work multiple remote connections simultaneously or unattended access. IT pros, sysadmins and help desk technicians know that an easy-to-use and quick to deploy remote desktop access solution is essential for supporting end users, and managing multiple remote servers. At the same time, management must ensure that the price point is affordable and sustainable. The answer is to find a solution that strikes the perfect balance between cost, functionality, and user experience. That's precisely why our team created Wayk Now. 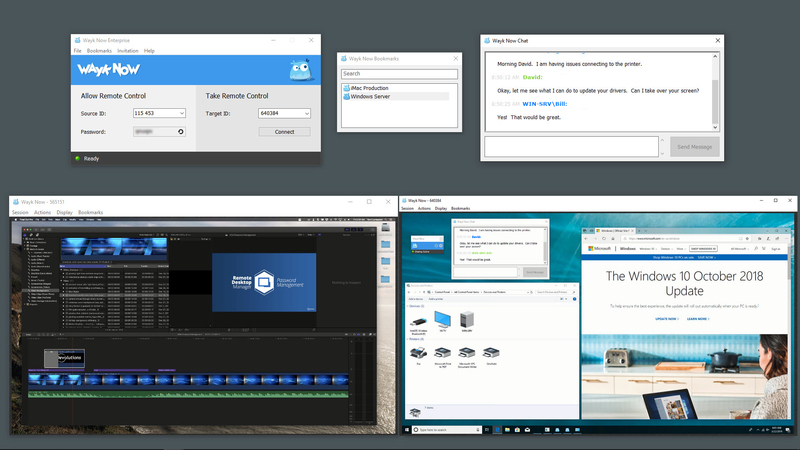 Wayk Now is a flexible, easy-to-use and lightweight remote desktop access solution that reduces implementation time while maintaining the latest industry security standards. When integrated with Devolutions Remote Desktop Manager, it enables easy management, scalability and increased efficiency through a single, unique platform for all remote sessions. 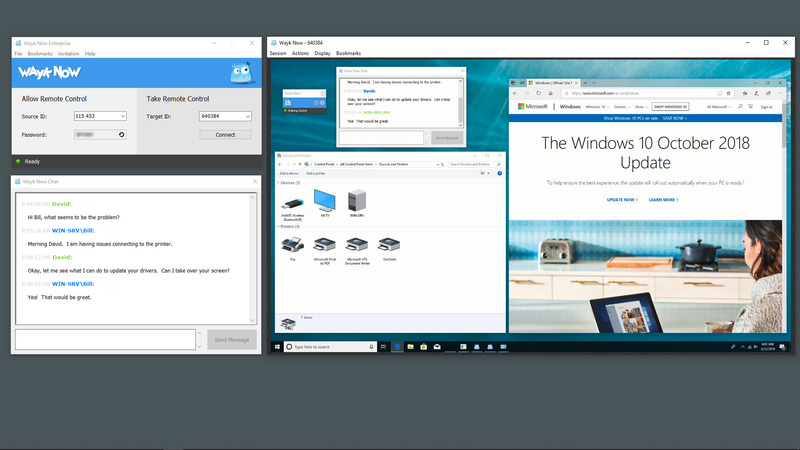 Wayk Now is the ideal remote desktop access solution for both IT professionals and business users alike! Wayk Now comes in two editions: Free and Enterprise. The Free Edition can be used for both personal and commercial purposes while the Enterprise Edition is a paid version which delivers a more complete feature set including unattended access, concurrent sessions and remote execution. Click on the button below for a comparison between both editions. Easily connect to any remote computer within your local area network, or over the Internet. Simplify and secure your remote support procedures with fast deployment and an easy-to-use interface. Facilitate troubleshooting and save time with enterprise features like unattended access, concurrent sessions & remote execution. Manage and define access to certain resources shared by the server when someone connects. Seamlessly send and receive files as well as copied clipboard data between all your devices. 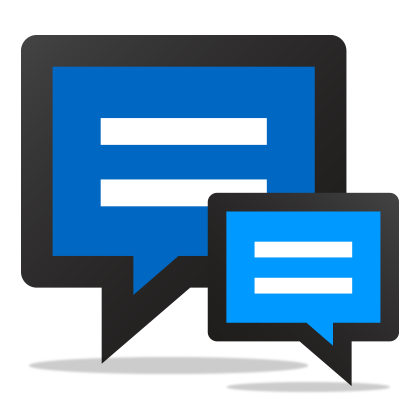 Improve communication between you and the end user with a convenient built-in chat window. 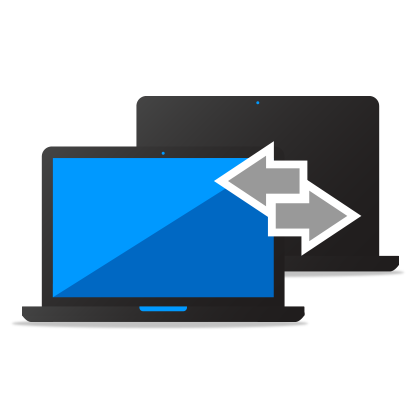 Provide support to devices using your favorite operating systems. We support Windows, macOS, Linux, iOS and Android, all with the same rich feature set. Easily install our small downloadable package usable without installation or elevated persmissions. Communicate between devices using strong TLS 1.2 encryption and certificate validation. Easily manage multiple remote connections simultaneously while quickly navigating between them. Remotely access other devices running Wayk Now without the end user having to be present.